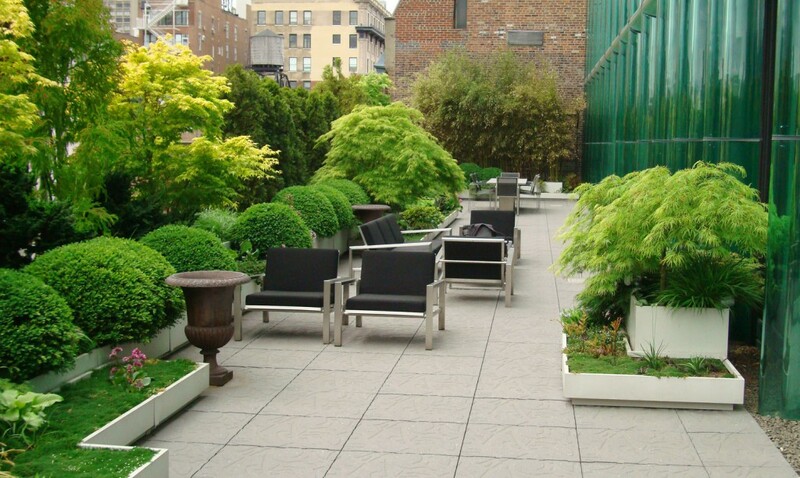 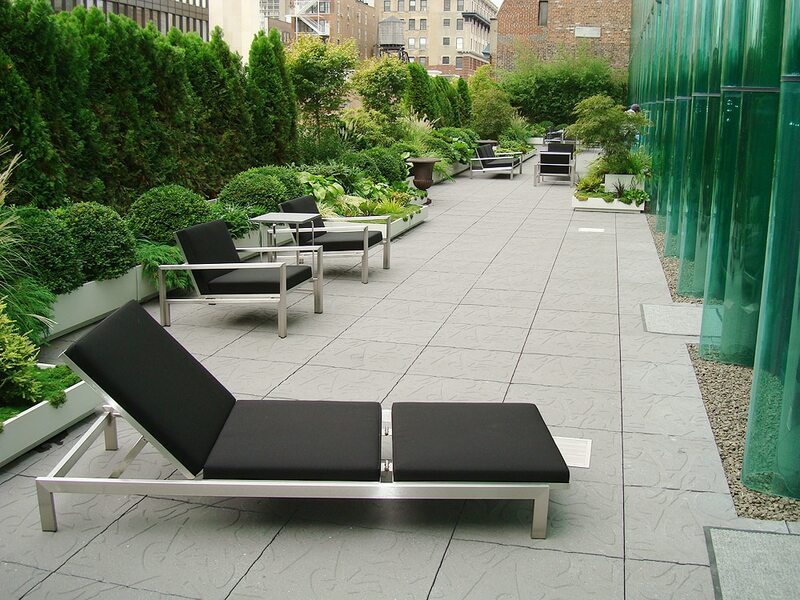 Manhattan Terrace - Blondie's Treehouse, Inc.
A 2,500 sf terrace in Manhattan with a tall hedge of arborvitae punctuated with tall Japanese maples to provide privacy and contrast the undulating green glass curtain wall of the building. 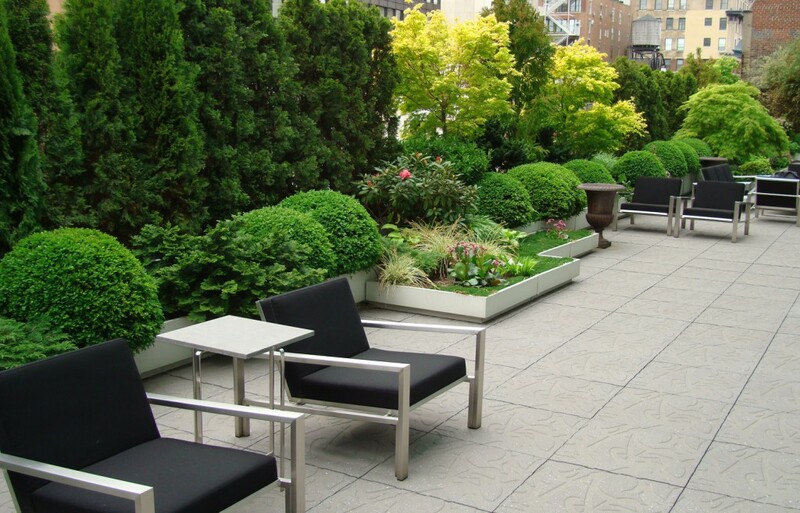 Clipped boxwood punctuates the base of the hedge with a lower level planting of moss and perennials. 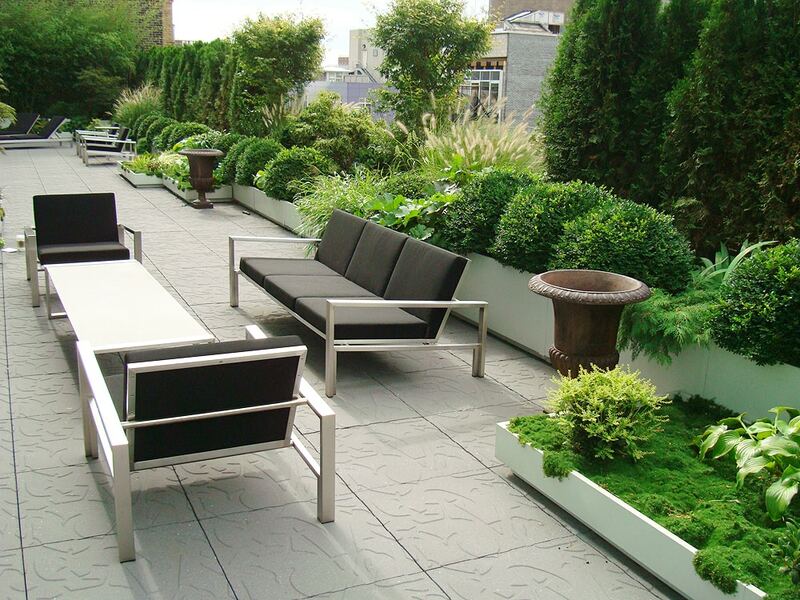 A green garden composed of complimentary leaf forms and textures that rhythmically manipulate the eye through this long space.